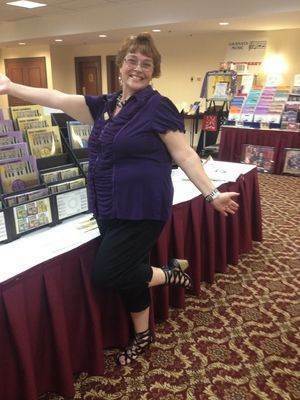 Have you ever read a theory workbook and LEAPED for joy when you had that Ah-HA Moment? Have your students ever asked you “how to” or “why when looking at a theory workbook?” And... well, “Because I SAID SO” just doesn’t sound like the right answer? Have you ever felt silly asking a theory book question because, after all... we are the Teachers and aren’t we “supposed” to know the answers? Have you ever been asked a theory book question by a student and you truly don’t know the answer? If so, then you are NOT alone! I started teaching Piano and Theory at the age of 13 (2nd generation Music Teacher). I was 19 when I received First Class Honours on my ARCT Teacher’s Written (Viva Voce) Examination. I had studied and researched to be able to answer the “how to and why” questions for teaching piano. Unfortunately there were no theory workbook courses on the “how to and why” questions for teaching theory. For almost 30 years, I devoted a lot of time and energy to creating theory workbook binders full of exercises that I could give my students to show them the “how to and why” of theory as, well, I needed to know “how to and why” too. I ended up with six 3-inch theory workbook binders full of notes, exercises and worksheets that I regularly went to in order to supplement my student’s theory workbook studies. I had NO ONE to turn to for answers. I had NOWHERE to go to ask questions. I wasn’t “getting my Ah-HA moment”, but I was trying. But when it came to modes, I honestly taught them saying “I don’t understand this but you have to count all these tones and semitones… I don’t know why and I don’t know how to do it…sorry”. I would carry my theory workbooks with me, I did theory standing in line at the Grocery Store, I did theory while watching TV, I did theory at the dining room table. This theory workbook gave me one Ah-HA Moment after another. FINALLY I was seeing the “How to and WHY” theory workbook answers that I had spent nearly 30 years searching for! When I came to the chapter on Modes in the Advanced Rudiments theory workbook, honestly – I started to cry. I finally “GOT IT! My Ah-HA Moment on Modes”. FINALLY! I switched all my students into the Ultimate Music Theory Workbook Series – even if they were in the middle of their level. I explained to my Music Parents that I had finally found a Theory Workbook Series that made theory easy for students. And not one parent minded. The results? My Students had an “Ah-HA” moment too. They GOT it. We threw out our Theory Workbook Supplement Binders. Why? We didn’t need them. I was so thankful, I emailed Glory St. Germain and, well... the rest is history (or maybe the topic of another Blog! *grin*). P.S. Join the conversation - Enter your theory workbook Ah-HA moment in the comments below. Exclusive Teacher Training Online Course includes Learning Styles, 7 Keys to Creation, Connecting with Confidence, Marketing and How to Teach Music Theory. There have been Way too many “A -HA” moments to mention. And I’m still in the Intermediate level! Page after page of yet another “A-HA”. Seriously!!! I can’t wait for the “A-HA” regarding Modes! !